Lakefront on Waldron Lake - All Sports Lake! Waldron Lake (216 acres) is part of West Lakes so you will also have access to Jones Lake (114 acres), Steinbarger Lake (73 acres), and Tamarack Lake (50 acres). Cozy cottage located on a quiet dead end road. Galley style kitchen and open concept living/dining areas. 2 bedrooms & 1 bath with cathedral ceiling with windows overlooking the lake. Large deck across lakeside of home, perfect for entertaining. There is a good fishing lake right off the dock and a good swimming area too. 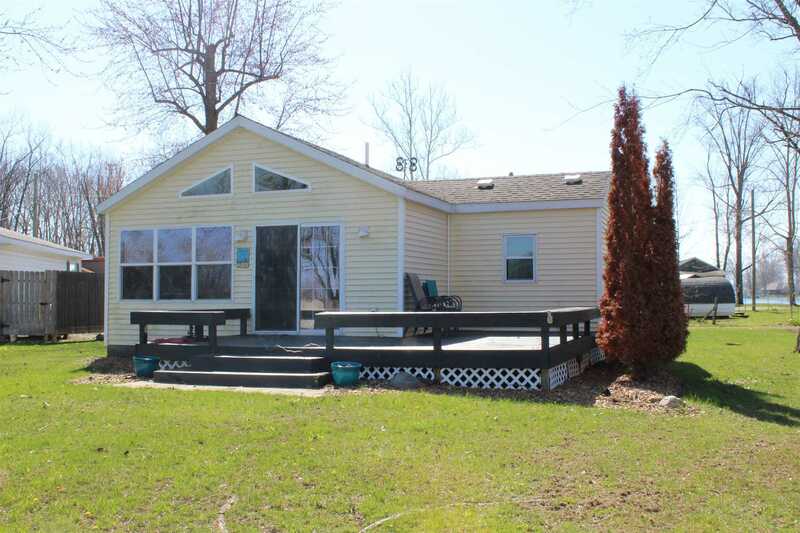 It has a level yard great for evening fires and enjoying the sunsets at the lake. Storage shed on property. New Artisan Well in 2018!